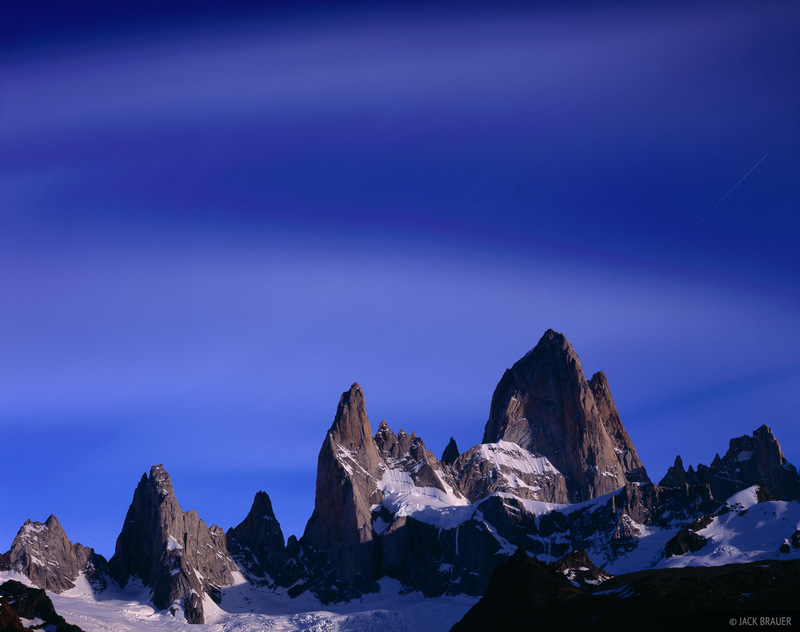 Cerro Poincenot and Chaltén (Monte Fitz Roy) under the moonlight. 15 minute exposure. Photo © copyright by Jack Brauer.